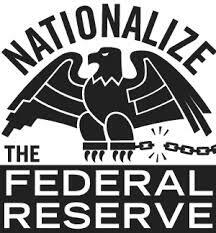 Brandon Turbeville: It's Time To Nationalize The Federal Reserve! Although criticism of the Federal Reserve system has existed since 1913, both the criticism and the level of knowledge surrounding the history and purpose of the institution has increased to such a scale never before witnessed. With an understanding of the unconstitutional abrogation of Congressional authority, the massive amount of control now held by private bankers, and the current economic conditions that have resulted, many informed Americans have rightly become antagonistic toward the Federal Reserve and have adamantly called for changes to be made to the system. Ending the Fed, however, while sounding euphonious and clever, would nonetheless be a disastrous policy for the United States and the American people as it would immediately usher in an age of austerity while doing little to truly reduce the amount of control private bankers and the cartel masquerading as the national bank currently have over the U.S. Federal government. Simply ending the fed would, in one fell swoop, eliminate the “buyer of last resort” option for US national debt and cause the collapse of the American economy. In addition, although the Federal Reserve does not currently serve in its proper function as provider of credit and funding for the US government, ending the Fed will eliminate a major source of funding, leaving taxation as the only method of income. If the Federal government wishes to borrow money, outside of printing more of it and throwing itself into an inflationary spiral, it will then be forced to borrow directly from Wall Street, the very same money lenders who will immediately regain control over the issuance of currency, the amount in circulation, and economic cycles. Thus, before the offices of the Federal Reserve board are cleaned out, private bankers will have already regained control over the operation of the government as a whole. We have seen this very scenario play out in American history before. In the past, when “ending the bank” was attempted, it resulted in the collapse of the American economy. It would do the same today, leaving America’s elderly, sick, disabled, and millions of working people to the wolves. It would immediately collapse the economy and turn the United States into a wasteland of poverty, beyond third world living standards, while only providing a minor hoop through Wall Street would easily jump. Clearly, however, the Federal Reserve cannot continue to run roughshod over Congress and the American people for the benefit of Wall Street. Still, the question remains as to how to end the power of the Fed (i.e. the private bankers) as it exists, return the Constitutional authority over monetary policy back to Congress, and break the power of wealthy financiers and banking cartels over the Federal Government. The answer to that question is not to simply end the Fed but to nationalize it. Nationalizing the Federal Reserve would not only return Congressional power to its rightful place as guaranteed in the U.S. Constitution and break the power of Wall Street over the monetary policy of the United States, but it would also provide the opportunity to eliminate debt, reduce inflation, improve infrastructure, jumpstart a recovery, and usher in a new era of scientific progress the likes of which the world has never seen. Thus, it is not wise in any real sense to simply end the Federal Reserve system nor is it likely that one would gain any element of true populism by merely demanding that we “End the Fed,” particularly due to the age of austerity and the parallel banker control that would inevitably result from such a policy. It is imperative to offer legitimate solutions and a clear way forward when making a political demand. For that reason, it is the Nationalization of the Fed that should be demanded, not the simple abolition of it. Although the specific manner in which the Federal Reserve is nationalized should not be the main focus of the action and demand to do so, there are two possible ways that such an undertaking could be accomplished. The first, and most desirable, is the passage of a law by Congress which nationalizes the Federal Reserve under the U.S. Department of the Treasury. This method is the best case scenario as it demonstrates Congressional will, common agreement, and process legitimization. However, in the absence of Congressional will, there exists the forceful act of the Executive. Essentially, it is entirely possible for the Federal Reserve to be de facto nationalized by a simple Presidential phone call to the Chairman of the Fed demanding specific lines of credit for specific purposes with clear repercussions if these demands are not met. In other words, the President could direct the chairman of the Federal Reserve to order a line of credit for a specific purpose and, if the chairman refuses, the chairman is free to submit his resignation by 5pm. Although a full law would be the ideal circumstance for the reconquering of American monetary policy by those to whom it rightfully belongs, any and all means available can and should be used. Essentially, there are three different types of economic stimulus which involve government spending – Hot money (money printing, quantitative easing, etc. ), on-budget spending, and credit stimulus. It should be noted that Austrian school economics proponents may attempt to argue that their own version of economic stimulus (meaning austerity) may jumpstart a recovery with no government spending at all. This idea involves mass liquidation, deflation, and budget cutting. However, considering the history of Austrian school economics and its proven failures in that regard, Austrian school economics stand as antithetical to a modern prosperous society and leave a trail of poverty, destruction, malnutrition, and stagnation in its wake. For this reason, Austrian school economics will not be addressed in this article as a legitimate source of an economic recovery. With that being said, the first method of economic stimulus mentioned above – Hot money – has been widely criticized by many individuals on both sides of the political paradigm due to the fact that such “stimulus” does virtually nothing for Main Street while subsidizing and encouraging the risky behavior of Wall Street. In addition, because the “hot money” approach involves the extension of cheap credit to financial institutions, creation of debt, and the creation of new money out of thin air which finds its way into the system, inflation and the devaluation of currency necessarily occur. Taxation through inflation is a direct result of money printing and the “hot money” approach as is the ballooning of parasitical financial institutions as they feast on the money handed to them on a silver platter. The second method of stimulus is the Keynesian application of “on-budget” spending which involves the accumulation of public debt in order to provide the funds for a stimulus program. This method is slightly better due to the fact that government spending in infrastructure or other relevant development programs does indeed create jobs and related industry. However, on-budget stimulus is limited in what it is able to do by the fact that the spending taking place must be acquired by taxation or borrowing. Over-burdening the public with taxation and creating unsupportable debt (to private banks) is the inevitable long-term result of such stimulus regardless of how many jobs it creates in the meantime. A third method of stimulus, however, is much more capable of creating an economic recovery. This is the method referred to as credit stimulus. Credit stimulus, provided it is conducted by a nationalized central bank, or, more appropriately, a National Bank, is capable of jumpstarting a recovery due to the fact that it does not involve simply printing money and spending it into circulation nor does it involve the creation of debt to private banks. Credit stimulus issued by a national bank would not create a culture of unsupportable debt because the debt itself would be held by an arm of the Federal government, an unlikely source of foreclosure against the Federal, State, or local governments in the event of lack of repayment, an unlikely circumstance to begin with. Indeed, trillions of dollars worth of credit was issued to Wall Street during the course of the 2008 housing crisis. If credit from the Federal Reserve and the U.S. Treasury was good enough for Wall Street, it is good enough for Main Street. The extension of this massive line of credit did not cause mass inflation nor would it cause mass inflation if it were extended to main street and for real, productive purposes. Instead, it would produce tangible physical results that would manifest themselves in the form of jobs, higher living standards, and higher skills and knowledge. This, then, is the method which should be selected to jumpstart an economic recovery after having nationalized the Federal Reserve. According to the American Society of Civil Engineers who recently released its 2013 Report Card For America’s Infrastructure, estimates suggest that the United States would need to invest $3.6 Trillion dollars in its infrastructure by 2020 simply to achieve the overall ranking of “good” which is represented as a B on the ASCE report card. In addition, the innovation and leadership in regards to scientific progress in which America once dominated is a feature that no longer appears to exist domestically. In infrastructure, education, science, medicine, and real economic activity (productivity), the United States is nothing more than a shell of its former self. Yet this does not have to be the case nor does it have to be the future for America. A nationalized Federal Reserve, particularly together with a 1% Wall Street Sales Tax to eliminate Federal, State, and local budget deficits as well as fully finance the social safety net, education, and a true program of universal healthcare, would be a tremendous step forward in creating an environment of virtually full employment and major industry while producing in an environmentally friendly way. For this reason, Credit Stimulus can and should be used to jumpstart a recovery first by means of repairing existing infrastructure and building new infrastructural systems as will fit the needs of modern America. This should be accomplished by a nationalized Federal Reserve acting as a truly state-owned National bank buying up the bonds of states, regional projects, and local governments for the specific purposes of rebuilding subway systems, highway systems, water treatment facilities, railway systems (freight and passenger), bridges, electricity and power production facilities, canals, ports, sewage systems, telecommunications, libraries, hospitals, schools, public and government buildings, as well as other relevant aspects of infrastructure. The terms of these bond purchases should be simple. First, they should be predicated upon real improvement and creation of legitimate infrastructure such as the projects mentioned above. No pork or pet projects. Second, the interest rate of these bonds should be set at 0% so as to preclude any usury between governments and to eliminate usurious forms of government and public debt. Third, these bonds should be issued with a maturity date of 100 years, a type of bond commonly referred to as century bonds. This will allow for reasonable “repayment” on a reasonable time scale with adjustments made for the need of the government receiving the credit as the economic crisis may demand. There should be no foreclosure or bankruptcy resulting from this extension of credit. A newly nationalized Federal Reserve should immediately issue a tranche of $3.6 trillion of such credit to Federal, State, and local governments as well as regional projects in order to upgrade current infrastructure to a satisfactory level with subsequent tranches of $1 trillion to be issued as needed after the first tranche of $3.6 trillion is expended. The goal in this endeavor is not only to upgrade and improve the national infrastructure as it exists but to bring all of it up to the highest standards. The U.S. highway system should be upgraded the levels of the Autobahn in Germany and beyond. Likewise for all the other forms of infrastructure. The jobs provided by this credit stimulus should be high wage and union pay scale. Improving infrastructure to adequate levels, however, is not the only potential use for the purchase of Federal, State, and local bonds as the goal should obviously be to create new and more efficient, environmentally friendly, and highly developed forms of infrastructure – be it in waste treatment, power and electricity, construction, or transportation. For instance, high-speed rail should be an immediate priority as should the development of alternative means of power and electricity from a variety of sources such as wind, solar, or some other source of power. In the meantime, however, it is important to upgrade and safeguard those methods of power that we currently maintain whether including water, nuclear, or coal, improve their capacities and make them more environmentally friendly. Likewise, it is important to use such century bonds for the funding of science drivers in each of these respective industries as well as for the achievement of goals that are currently presented as unattainable in the foreseeable future. Thus, in addition to the funding of development of alternative and truly clean/free sources of energy and power, more efficient means of transportation, and other improvements to existing infrastructure, investments must be made in scientific discoveries regarding health and medicine, space exploration and colonization, legitimately environmentally friendly technologies and methods of production, and other laudable goals. We must launch a Manhattan Project level scientific crusade to understand and harness free energy, renewable energy, radiation and mercury cleanup, cures for disease (cancer, AIDS, etc.) using medical and non-medical means, and the eventual creation of a vegetable-based substitute for meat. Space exploration should also be included in such endeavors. Clearly, as jobs rebuilding infrastructure and engaging in scientific exploration and development begin to appear, subsequent industries will no doubt begin to appear alongside them due to the increase in spending as a result of the new high-wage jobs initially created by the infrastructure investment. With this in mind, it is important to understand that this method of stimulus can and should also be used to stimulate not just government-based jobs but also the private sector. This can be done by offering low to no interest credit to the private sector manufacturers in all industries who are willing to refurbish aging factories currently lying dormant and empty all across the nation. Interest free and/or low-interest Federal credit should be issued to those manufacturers and producers who are active or are willing to become active in areas of tangible physical production. These productive jobs should then be safeguarded by means of a protective tariff. In addition, such credit must not only be available to large companies or individuals who are “thinking big” but should be available all the way down to the local business owner – restaurants, electricians, HVAC, mechanics, plumbing, etc. For far too long, Wall Street has been the recipient of tax payer subsidies for risky financial derivatives and financial services which produce absolutely nothing. It is time for Wall Street to take a back seat to Main Street. 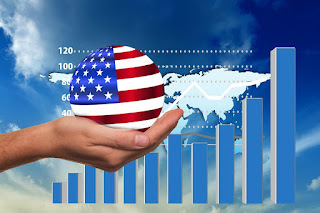 With the end of Free Trade and the imposition of a protective tariff as well as the proper level of credit stimulus, the United States would finally be able to realize a true economic recovery. Lastly, a nationalized Federal Reserve would be able to refinance student loans via the Department of Education and relevant agencies that are currently burdening a large portion of an entire generation of Americans. Education, particularly in the area of high skills, is a necessary ingredient to a well-trained workforce of high wage workers. This is especially true if the United States is to take the lead in scientific development. Furthermore, if an entire generation is saddled with such unreasonable debt as to preclude them from the ability to buy a house, support a family, and otherwise lead a comfortable life, then the United States is on the fast track to creating its first “lost generation.” By refinancing student loans through the Federal Reserve at less than one percent or even zero percent interest, this generation will be able to free itself of such debt and a new generation will be encouraged and enabled to learn the skills that will be needed for the initiation of a new economic system based on productivity. At the same time, the goal should not be to shovel more students through the university pipeline of PC indoctrination. Instead, students should be trained in the high skills that will be needed for the scientific drivers of the 21st Century. Seizing and Nationalizing the Fed would go enormous lengths toward breaking the power of private bankers over the general public and as one of the main efforts toward rebuilding a working economy built upon production and human progress. Power concedes nothing without a demand. Unfortunately, the American people, activists, and the alternative media are fast approaching a time that demands must be made if there will be any hope of success. No matter how important other issues may be to us - whether they be privacy, civil liberties, the environment, or war and peace - it is well understood that the majority of the general public in any country can only be rallied when the issues they face involve the amount of money they make and the amount of food they eat. The cause of nationalizing the Federal Reserve is a cause that affects virtually every other issue of concern held by activist communities because it affects one of the most powerful tentacles of the ruling elite – the control and influence wielded by Wall Street over the vast population. There is no doubt that it affects the very basic economic concerns held by the average American. It is time to take back what rightfully belongs to the people of the United States. It is time to Nationalize the Federal Reserve. Brandon Turbeville – article archive here – is the author of seven books, Codex Alimentarius — The End of Health Freedom, 7 Real Conspiracies, Five Sense Solutions and Dispatches From a Dissident, volume 1 andvolume 2, The Road to Damascus: The Anglo-American Assault on Syria, The Difference it Makes: 36 Reasons Why Hillary Clinton Should Never Be President, and Resisting The Empire: The Plan To Destroy Syria And How The Future Of The World Depends On The Outcome. Turbeville has published over a thousand articles on a wide variety of subjects including health, economics, government corruption, and civil liberties. Brandon Turbeville’s radio show Truth on The Tracks can be found every Monday night 9 pm EST at UCYTV. His website is BrandonTurbeville.com He is available for radio and TV interviews. Please contact activistpost (at) gmail.com.